Our greatest testament to being able to support what we claim to offer is from what our customers have to say. Please read the testimonials below from Schools who are selling our products to hear what they have to say. "Oh my goodness!! I put your product on the floor today and have sold 13 items already in an hour!!! Everyone is loving them!!!" "I worked until the wee hours to price everything - but I just wanted to see it all set up. It looks great - and your presentation is great - even the pink tissue paper in the box was a nice touch! Great job!! Thanks again." "I just want to say thanks for our first delivery of customised hair accessories. They look absolutely fabulous. I know our school community will love these items." "I would like to congratulate you on the quality and style of your products. They sell very well at our school and I just wanted you all to know that. Your product sells itself." 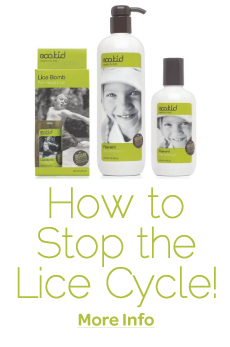 "Just wanted to let you know that your hair products are a big hit with the girls. Parents have commented on the quality and everybody especially loves the satin bows." "Absolutely love the new ordering system, wish all my suppliers had the same set up, easy to use, the pictures are fantastic. WELL done." "Just loved how easy & efficient the new online ordering system is to use! Fabulous and very impressive!" "Have just completed my on line order and am most impressed. I wish all companies did the same - How easy it would make our life. Congratulations on how your company has developed over the years." "Just had a look at the new website, well done! It looks really easy to navigate and fantastic having photos of the items that you are ordering." "I just sent off my first online order! Too Easy! 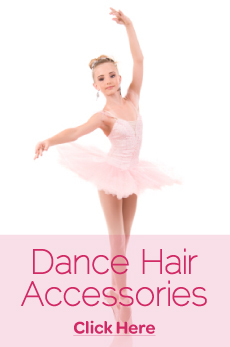 "Thank you for introducing our school to your wonderful range of unique hair accessories. I've sold out of products twice! One of the many comments from parents is how great the ribbons look in the hair. The ribbon does not fray and is much neater than using an elastic and then tying a ribbon in the hair." 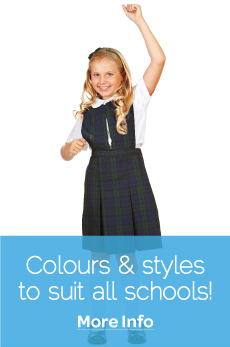 We are totally delighted with the impact these products are having on the school environment. The girls are all looking fantastic! "I am writing to compliment you on your new hair product, the Pony-Bow. Congratulations on an innovative and practical design." 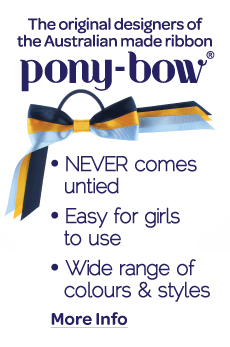 "The Pony-Bow is easy to use, of high quality and economical. The service and support we receive is fantastic." 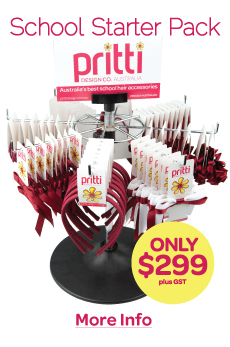 "Since we have had the stand your products have been walking out of the shop. I would have to say the Pony-Bows are our most popular seller."